fantasy managers’ strategies as we look to shore up our teams for the playoff run. Barring unforeseen injury, the good fortune of a rookie that lights up the board, a player that suddenly skyrockets above his norm, or your ability to use the Jedi mind trick to create lopsided trades, it is clear that the farther we get from Draft Day, the more quickly returns will diminish on any move we make. So, is there a pot of gold out there? Is there one more hidden strategy that one can find to extract profit where there seems to be none? Kinda hard to say. But if we look at some data, we begin to see where strategy may pay off and where there seems to be no point—because returns are low. Part of the problem, of course, is that once you discover some new vein of wisdom and let folks know about it, the jig is up. Who would make a trade with Billy Bean after reading Moneyball? I don’t pretend to offer anything close to that level of wisdom. But I do think the data I discuss in this column are indicative of something for fantasy managers. I just have not figured it out yet. So, I really do welcome your comments. Today I look at several additional counting stats: Saves, Quality Starts and Stolen Bases. Each of these is potentially a source of stability in any draft. If you can lock up a couple of stud closers, you can dominate the Saves column. Quality Starts remain little more than an award for participation. But, despite the lameness of this category (3 ER or less in 6 IP or more), it does give us one more way (in addition to DIPS) to rank pitchers somewhat meaningfully. Closers implode at an alarming rate. This forces us to go prospecting for Saves in midseason. Whereas QS (and additional K) can be found by streaming a new pitcher off the waiver wire, the difficulty in collecting saves on the margin or, gasp, by streaming relief pitchers is considerable. Finally, SB has become a category similar to Saves. If you can lock up a couple of burners, you can dominate this category. Your other option—to try to create a squad full of batters that will get you 15 SB each—is high risk. Those sorts of speedsters are less likely to run because the SB is not really part of their arsenal. Rickey Henderson is still retired. But, while the use of saves and SB in fantasy can form a key part of a successful managerial strategy, I demonstrate today that these two statistics are undergoing important, but radically different changes. Stolen Bases. Since 1960, The MLB has averaged about 2600 SB per season. The numbers skyrocketed in the 1970s and remained quite high until the early 2000s when they dropped precipitously from the peak of 5,114 in 1987 to a low of 3,569 in 2015. The jump was due to the proliferation of prodigious speedsters and, no doubt, expansion. More players can steal more bases. The drop off is is due perhaps to the triumph of moneyball and probability analysis. Regardless, speed (or at least, the willingness to use it) is getting increasingly scarce. Unless you snap up the next Billy Hamilton from the rookie pool (and, he manages to be a version of Billy Hamilton that actually gets on base), you are not likely to find help with SB in July if you didn’t draft it early in the season. Since 1960, SB totals have risen. But, what is intriguing is that base stealing seems to have become a bit of a lost art in the 21st century. As the graph below indicates, stolen base attempts (sbatts) peaked in 1987 at a whopping 5,114. That number has dropped steadily to 3,569 in 2015. While runners have seen less of the green light since 2000, the aggregate success rate (sbpct in the next graph) continued to increase throughout the first decade of the 21st century. The stolen base success rate has also gone up markedly since 1960. It peaked at 74.4% in 2007. Since then it has dropped steadily to 70.2% in 2015 That is still a lot better than it was in 1967. But still: eight years of downward trending data is not something to be ignored. So, the lesson from this? (On the one hand, after Dave Roberts stole the greatest base ever in game 4 of the 2004 ALCS, no one really needs to steal bases anymore, now do they? But, I digress…) Speed would have been a worthwhile investment until 2007 for sure. But, something is up. Despite the decreasing number of attempted steals, base stealers have also become less successful overall. Is this due to poorer base stealing skills? The development of more catchers with guns for arms? Perhaps better communication among pitchers, catchers and infielders? Regardless, steals are becoming scarcer; and even if you draft some speed, the likelihood of its paying off has been dropping for 8 years. counting these things, they have been amazingly stable. Since 2000, the number of Quality Starts has been remarkably stable. These data are drawn from ESPN. They calculated the average number of QS per team per season (avqstm below). Through 2015, the average QS per team per year has been 80 with a standard deviation of +/- 4. The low mark in this period was 75 in 2000 and the high was 87 in 2011 and 2014. This is amazing for its consistency. Essentially fifty percent of every game played is a quality start. (Congratulations for participating! You get a trophy for having a pulse!) On average, there is almost no variation from year to year. Of course this will vary from pitcher to pitcher. But, in the aggregate (and speaking in very rough terms), there is a 50% chance of picking up a QS with a waiver wire or free agent pickup. Those are not bad odds. On the other hand, seeking a QS from the available player pool is essentially the same as tossing a coin and calling heads. So much is written about pitching. It’s all pretty good stuff in part because pitching is absolutely measurable: IP, pitch count, balls and strikes, BABIP, DIPS, etc. But, when assembling your staff, what factors should you take into account after draft day? With pitch counts, batters willing to take a few pitches, situational pitching and the increased specialization of relievers, we need to balance the likelihood of saves and holds against wins and quality starts. How best to balance your pitching portfolio? The number of saves per season in the MLB has increased steadily since 1974. 2015 was the pinnacle of this trend. Along with this, the number of innings pitched by starters has also decreased over the same period. Since 1974, the average total IP pitched by starters each season is 28,616 and relief innings average 12,591 (these data are from FanGraphs). The graphs are a bit funky because they are affected by big dips in the strike-shortened 1981 and 1994 seasons. Relief innings have increased steadily over time. In fact, the ratio of starter innings to relief innings (strprat below) has gotten steadily smaller (this does not show clearly on the prior graph. But in the following graph we see a marked shift over time. Over the last 42 years, the ratio of SP to RP innings has averaged about 2.16:1. But it is also clear that RP are eating up more and more of the IP. Since 1974, there has been a steady decrease in the ratio from 2.7 to a low in 2007 and 2015 of 1.8. Granted, these are average statistics. But that last figure has a big impact. On average, SP are increasingly less likely to qualify for a QS. By definition, a QS requires 6 IP. That would translate into a SP/RP IP ratio (strprat) of 2 (with the RP picking up the last 3 innings). A game with a ratio of 1.8 does not qualify as a QS. There is a lot of data here. Some trends have clear impact for Fantasy strategy, particularly at draft time. The data indicate that as the season lengthens, your attempting to take advantage of scarce categories is not likely to lead to much success. SB are harder to come by. Saves are increasing while QS are not. Lots to ruminate on here–and that is the stuff for another article. 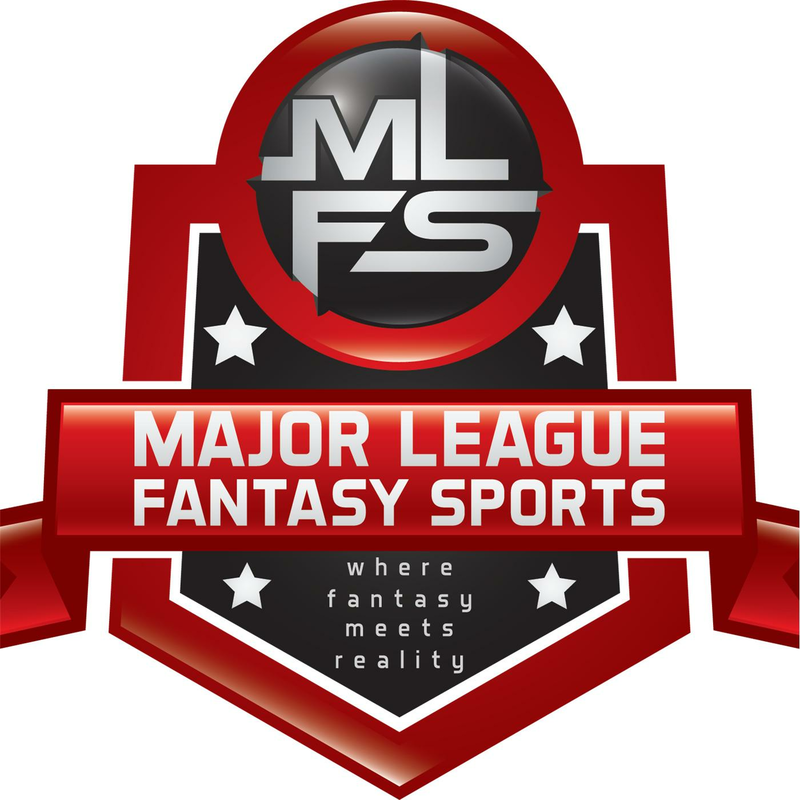 Major League Fantasy Football Radio: Join Ej Garr, Corey D Roberts, and Coach Jeff Nelson live Saturday July 30th from 1-3pm EST for episode #65 of Major League Fantasy Football Radio. This is a live broadcast and we take callers at 323-870-4395 press 1 to speak with the hosts. This week we will break down the NFC South from an NFL and fantasy perspective. Major League Fantasy Baseball Radio: Join Corey D Roberts, Calvin Martin, and Coach Andy Macuga live on Sunday July 31st, 2016 from 7-9pm EST for episode #74 of Major League Fantasy Baseball Radio. We are a live broadcast that will take callers at 323-870-4395. Press 1 to speak with the host. This week is ALL about the trade deadline deals and how they effect us in fantasy. Andy is the Head Baseball Coach for Borrego Springs H.S. in So Cal, and Calvin is a veteran owner in MLFB leagues as well as the commish of MLFB3. Great statistical analysis as always. We all think we know certain trends but it is great to see it proven out statistically. Whether a trade will boost your Roto points in a category or not is also a function of just how close the rankings are. If I’m 4th in saves and would need to make up 20 to catch the guy in 3rd, it is not worth trying. On the other hand, what if the guys in 5th and 6th in Saves are only a few behind me and just traded for a closer? I could LOSE two spots in a week or less. Conversely, if I’m 4th in Saves but only need 5 or 6 to win the cat, damn straight I’m looking for a closer. Same with steals and other counting stats. I take it you are just talking about ROTO in your article, not H to H, correct? Right–that’s why the H2H game is better IMHO. It keeps folks active longer into the season. On a weekly basis, adding an impact player makes a big difference. Your point about 5th and 6th place guys looking to catch you is a good one. I was thinking more in terms of seeking to catch folks ahead of you–not staying ahead of those behind you. Mark, you need to start reading my articles. (LOL, shameless plug.com) Read this one first, my mid-season report card where I show that out of almost 150 spot start recomendations from the less than 50% owned pool, over 14 weeks, I nailed just under 90 Quality Starts. My 4.03 ERA over those 150 starts is well below the QS threshold of 4.50. And this is the first time I did this. My 2nd half goal is 70%. Our leagues are tough as there are so few quality arns on the wiire any given week, but in a standard ESPN 12 team ROTO league, where only 60 or 70 SP are fully rostered there are Zillions of them. If getting a QS in one of those leagues is a coin flip the owner is not looking past the basic numbers. I’ve been pitching ratio challenged for most of my fantasy career, mostly from not knowing when to start or sit a guy. (You want to talk about moving the needle on a stat cat, try moving pitching ratios after the AS break) But this season, my 5 teams are at or near the top in ERA & WHIP in all 5 leagues. You can learn a lot quickly just by focusing on something.